Subscribe to receive email notification of breaking news on SSEP using the Subscribe Box at the bottom of the right column. Washington, D.C. – The National Center for Earth and Space Science Education (NCESSE), and the Arthur C. Clarke Institute for Space Education, in partnership with NanoRacks LLC, announce a new opportunity for school districts across the U.S. and internationally to participate in the tenth flight opportunity of the Student Spaceflight Experiments Program (SSEP). SSEP Mission 8 to ISS will provide each participating community a real research mini-laboratory capable of supporting a single microgravity experiment, and all launch services to fly the mini-lab to ISS in Fall 2015, and return it safely to Earth for harvesting and analysis. Mirroring how professional research is done, student teams across the community submit research proposals, and go through a formal proposal review process to select the flight experiment. The design competition – from program start, to experiment design, to submission of proposals by student teams – spans 9 weeks from February 23 to April 24, 2015. A curriculum, and content resources for teachers and students, supports foundational instruction on science conducted in microgravity (in a weightless environment) and experiment design. Additional SSEP program elements leverage the experience to engage the entire community, embracing a Learning Community Model for STEM education. SSEP Mission 8 to ISS includes an experiment design competition February 23 through April 24, 2015. Flight experiments are selected by May 28, 2015, for a ferry flight to ISS in Fall 2015. 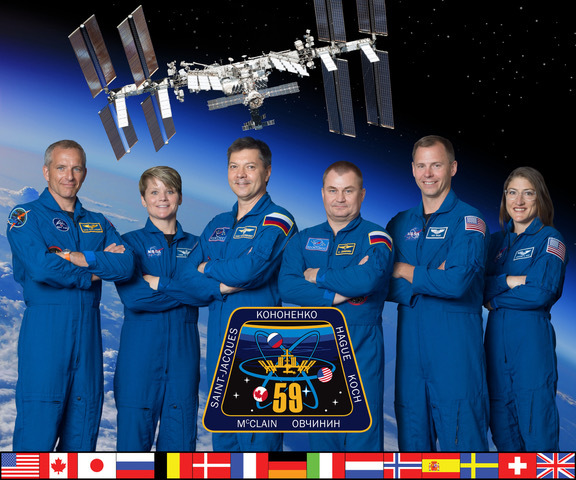 All communities interested in participating in Mission 7 to ISS are directed to inquire no later than November 15, 2014; NOTE: Deadline for inquiries extended to December 15, 2014. Heritage: There have been nine SSEP flight opportunities to date—SSEP on STS-134 and STS-135, the final flights of Space Shuttles Endeavour and Atlantis; and SSEP Missions 1 through 7 to ISS. 99 communities across the U.S. and Canada have participated in the program. 25 communities have participated in 2, 3, 4, 5 or 6 flight opportunities, reflecting the sustainable nature of the program. A total of 48,900 grade 5-15 students have been fully immersed in microgravity experiment design and proposal writing. Over the first eight flight opportunities 7,922 experiment proposals were submitted by student teams. Currently the 15 experiments of the SSEP Mission 5 to ISS Charlie Brown payload are aboard ISS, and the 18 experiments of the Mission 6 Yankee Clipper payload are awaiting launch in October 2014 on the Orbital Science 3 (Orb-3) vehicle, launching out of the Mid-Atlantic Regional Spaceport (MARS), Wallops Island, VA.